What we wrote about a month ago will finally become official on Tuesday: The Dallas Cowboys are moving their headquarters to Frisco. The Frisco City Council is meeting this afternoon to dot the i's and cross the t's, but it's a done deal with some spectacular specifics. Cowboys owner Jerry Jones is expected to leave training camp in Oxnard and be part of some kind of announcement/press conference Tuesday in the Collin County suburb. *Sometime in late 2015 the Cowboys will move into the new, 317-acre Frisco Station development west of the North Dallas Tollway between Warren and Lebanon. *Plans for Frisco's deal with Blue Star HQ, Inc. include a 12,000-seat domed stadium that the Cowboys will use as a practice facility and that all six of Frisco Independent School District's teams will use for games. The multi-purpose venue can also host graduations, concerts, etc. *Also in the blueprints for Frisco Station are two hotels, homes, apartments and 40 acres of retail space. While it's another move to another new home - AT&T Stadium ring a bell - for the Cowboys this year, it's another economic boon to Frisco, already one of America's fastest-growing cities and now an important sports hub in the Metroplex. Frisco, remember, is already home to FC Dallas Stadium, the Dallas Stars' headquarters, Texas Legends D-League basketball and Dr Pepper Ballpark (home of the Rangers' AA affiliate RoughRiders). The Cowboys have been at Valley Ranch the last 28 years, but the aging facility doesn't have full-service dining or - since the catastrophic collapse in 2009 - an indoor practice facility. Players who were house-hunting this off-season were told by team officials that Frisco would be a shrewd market in which to re-locate. Now only one "Dallas" team will have HQ inside of Dallas County. How did Dallas County let this happen? politicians in Arlington and Frisco don't take as many payoffs as the ones in Dallas. 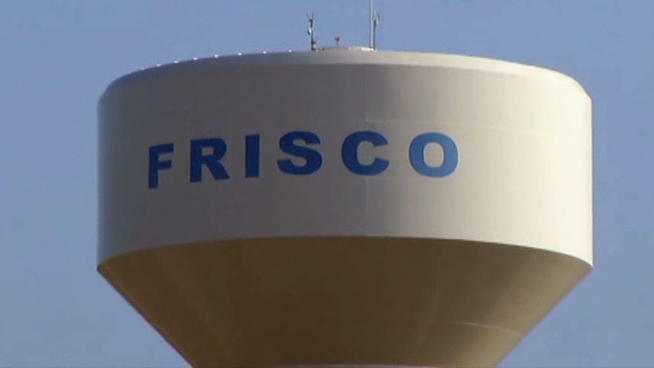 Richie, thanks for the follow up on this story, but you've got to stop calling Friso a Collin County suburb. Almost half of it is in Denton Country, including I believe the site of the Friso Station development where this facility will be. Best part of this deal for Jerry? He DOESN'T PAY A DIME !! That guy never misses a trick. I wonder what the General Managers of the Giants, Redskins, 49ers, etc..are doing today? Probably watching their teams practice and evaluating tape of players from other teams. Not hanging around Frisco, TX slapping hands with politicians. He never misses a trick, sure. But please remember that he spent $900 million of his own money to build AT&T Stadium, three times what Arlington did. I would say these are President/COO moves, not GM moves so apples to oranges Gerald.